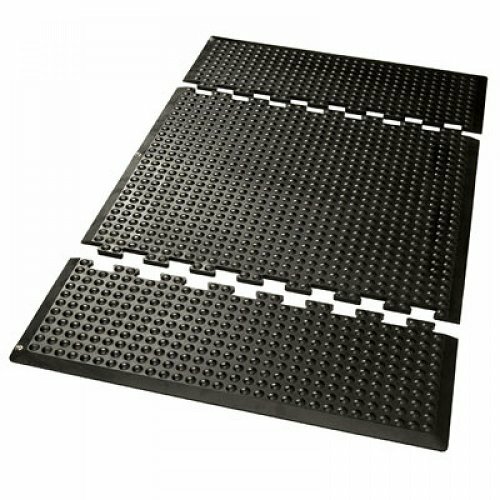 Rubber based mat, with both anti-static and anti-fatigue properties. 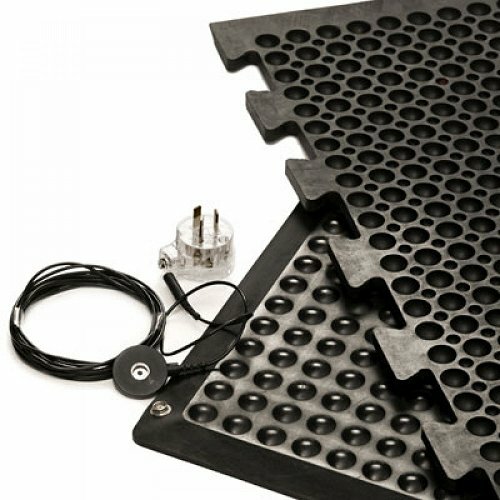 Can be grounded either via stud and grounding cord or through surface contact into a Conductive or Dissipative floor. Volume Conductive/Dissipative, with a typical resistance of between 10k Ohm & 1 Meg Ohm through each piece. 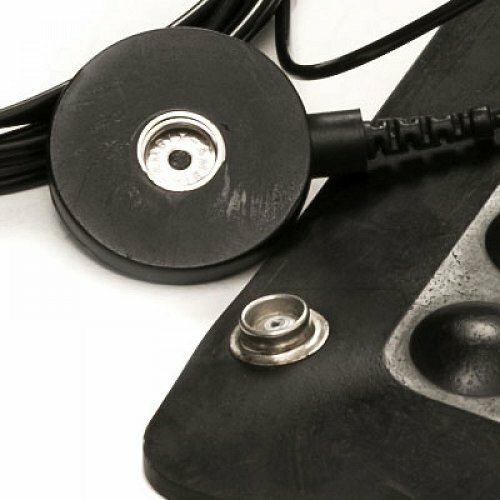 Grounding of personnel via 'foot straps' or 'ESD shoes' is possible when installed correctly. The bubbled top provides significant anti-fatigue properties and is comforting to stand on / work on. Conductive matting should not be used when working with high voltages; consult us if you are unsure before installation. Comes in black and grey for some sizes.